LOS ANGELES, Dec. 13, 2017 /PRNewswire/ — Apposite® Technologies today announced the release of the Netropy®100G network emulator. Developed for the pre-deployment testing and validation of high-speed 100GbE networks, the 100G is capable of precisely emulating 25, 40, 50 and 100Gbps WAN links. It allows service providers and storage system manufacturers to validate how WAN impairments–such as latency, packet loss or congestion–will affect performance over all data center links prior to going to market. The 100G expands on the company’s line of WAN emulation appliances that offer data center managers predictive insights to how storage clusters will operate over higher speed WAN links. As network technologies continue to rapidly expand, so do the demands for faster speeds within modern storage architectures. Mission-critical enterprise applications are moving to the cloud, adopting software-defined storage models, and transitioning to high-performance systems. Data centers are now experiencing a significant increase in east-west traffic as they transmit petabytes of information over a mixture of 25/40/50/100 GbE speeds. 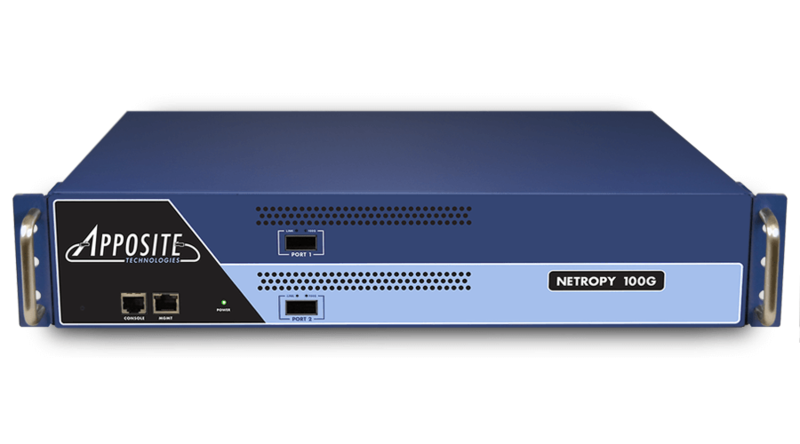 The Netropy 100G supports all network speeds and is combined with an intuitive, web-based GUI to profile and reproduce a wide range of network conditions. Storage architects, service providers, storage manufacturers and network engineers can identify and evaluate performance issues before going live by validating application performance over any combination of 25/40/50/100Gbps network links. In addition, test networks can be created in a matter of minutes to validate architectural changes. “Cloud service providers and storage systems manufacturers can cost-effectively scale their operations and broaden their revenue streams with the Netropy 100G. By identifying the source of existing performance issues, service providers can take advantage of their full data line rates and potentially avoid costly and unnecessary bandwidth acquisitions. System vendors can reduce testing times and eliminate a greater number of possible performance issues prior to reaching the customer. Both scenarios dramatically reduce business operations budgets,” concluded Mr. Roche. The Netropy 100G will be available in January 2018. Apposite Technologies’ award-winning WAN emulation products provide IT professionals with high precision tools for benchmarking the performance of applications across wide area networks. Distinguished by industry-best ease-of-use and unmatched value, Apposite’s Linktropy and Netropy appliances inform critical decisions impacting bandwidth investment, application deployment, and end-user satisfaction. Apposite’s network emulation products are used by leading enterprises, network application developers, government and military organizations, and telecoms carriers around the world.